One of the reasons we went to Malaysia is to see this majestic Petronas Towers, remember the movie of John Lloyd Cruz and Bea Alonzo, Miss You Like Crazy. Cheesssyyy.. Well, I have to admit that I am a fan of JL- Bea tandem. Who wouldn't love their tandem? Allan (JL): 'yun yung pangalan? Titiwangsa? Mia (Bea): Oo. Nandun yung Petronas Tower. 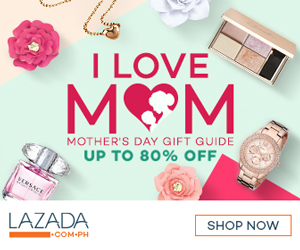 Alam mo yung Petronas diba? Allan: Yes. Iyong parang may bridge sa pagitan nila? Mia: Oo, 'Yun! Ang ganda-ganda 'nun paborito ko uun. Minsan nga naiimagine ko magkausap yung dalawa kasi para silang magkaholding-hands. Allan: Oh? Anong sabi nila sa isa't isa? Mia: Masaya ajo kasi kasama kita. I was really looking forward to see the famous Petronas Towers up close! The first time I fall in love in this beautiful towers is when it were featured amazingly in the movie “I miss you like crazy” and I told myself that I’m gonna see that building in the future! And it happened! Thank you Hubby! We opted to relax, unwind and appreciate our room for about 2 hours; we cuddle each other, having fun, chilling out, picture taking, etc. etc etc. 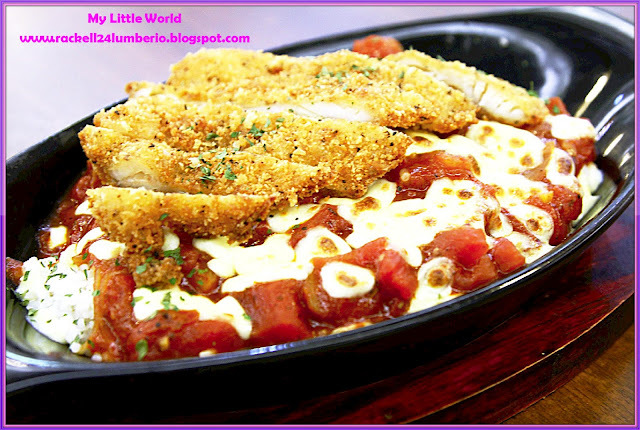 until we decided to have our dinner. Hello, past 8 na rin kaya yun.. Haha. 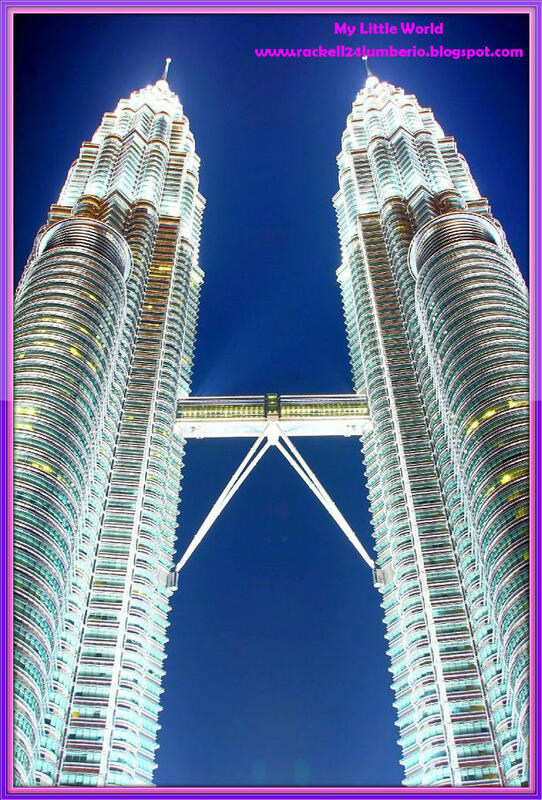 Suria KLCC is just 5-minute away from our hotel, we explore the mall and again, we got a Tourist Privilege Card! 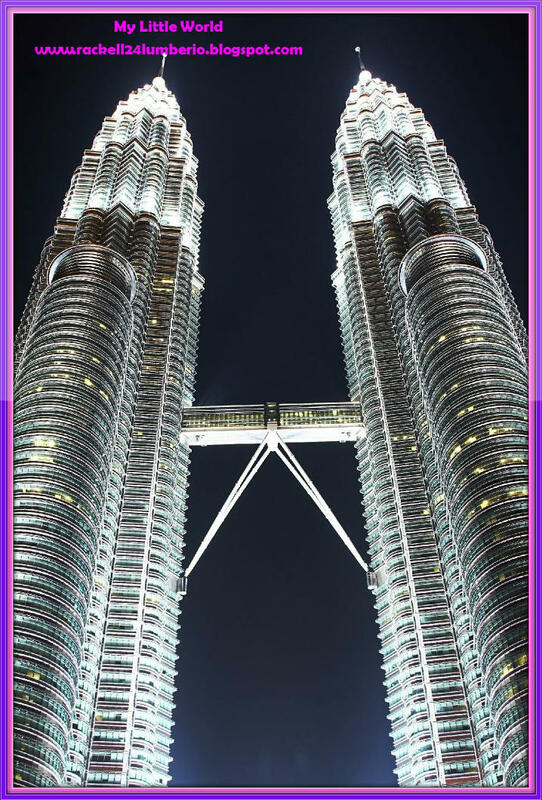 Skybridge @ Petronas Twin Tower – Which you can cross from one tower to another with breathtaking views. 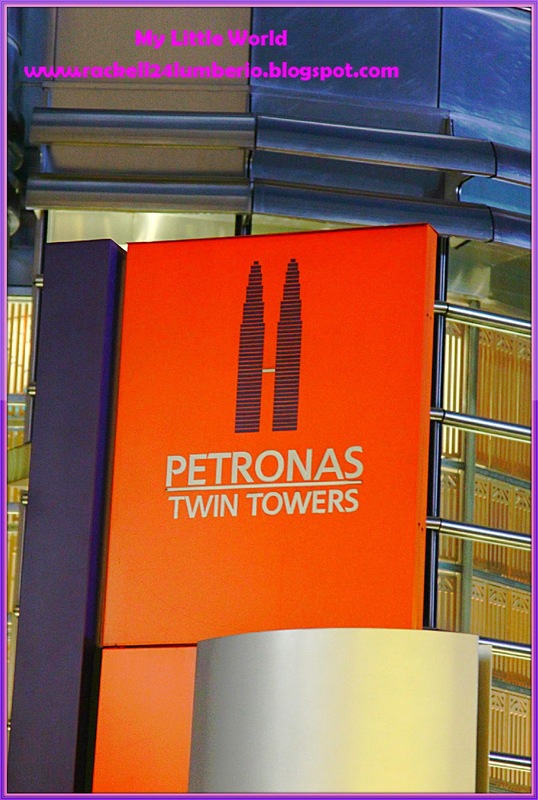 Petronas Art gallery @ 3rd Floor, Suria KLCC – This is where you can look into the Arts and Culture of Malaysia. 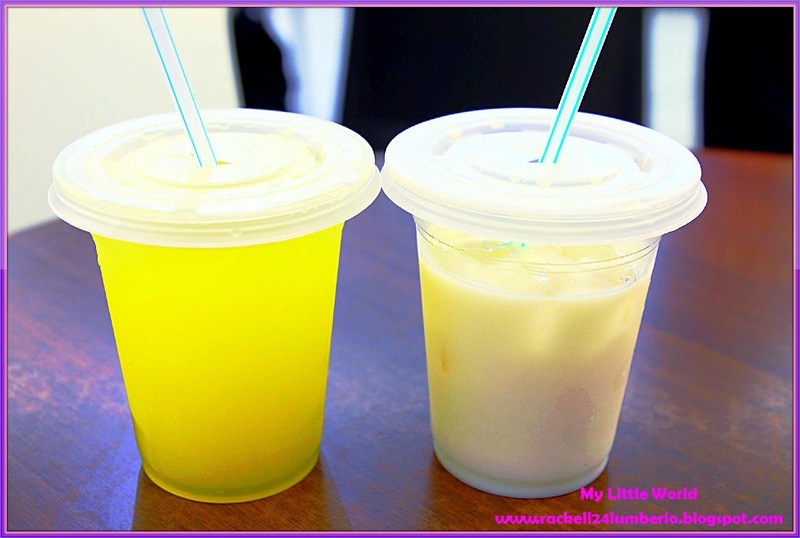 Pucuk Rebung Royal Gallery - Museum @ 3rd Floor, Suria KLCC – If you want to connect with Malaysian Heritage. 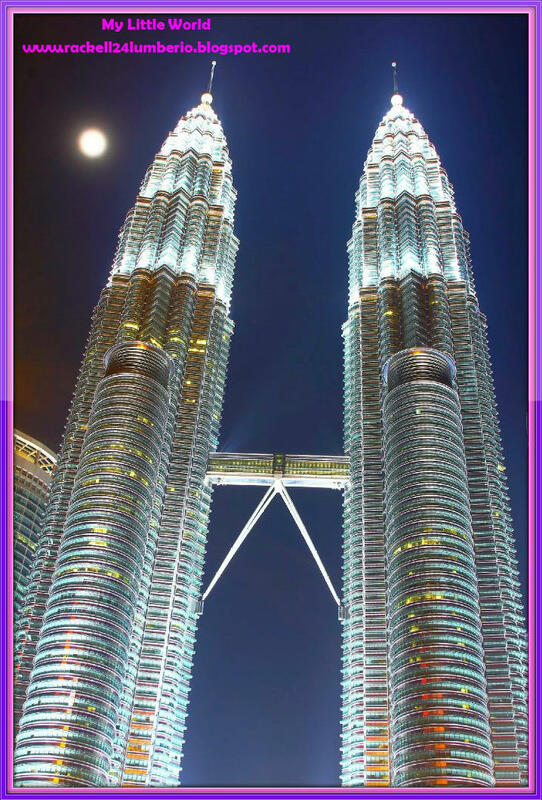 Petrosains@ 4th Floor, Suria KLCC – Discover science and satisfy your curiosity. 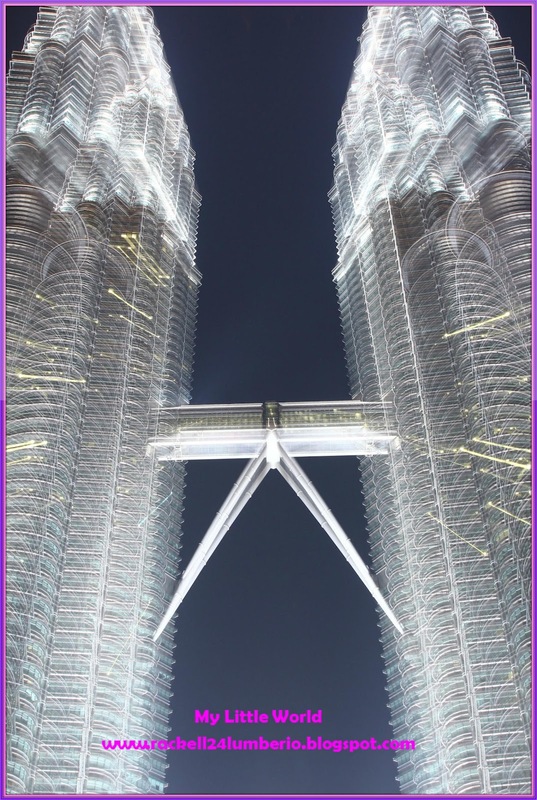 Dawan Filharmonik Petronas – An orchestra of music at the Petronas Tower. Food Therapy @ Suria KLCC – An assortment of tastes to indulge in. 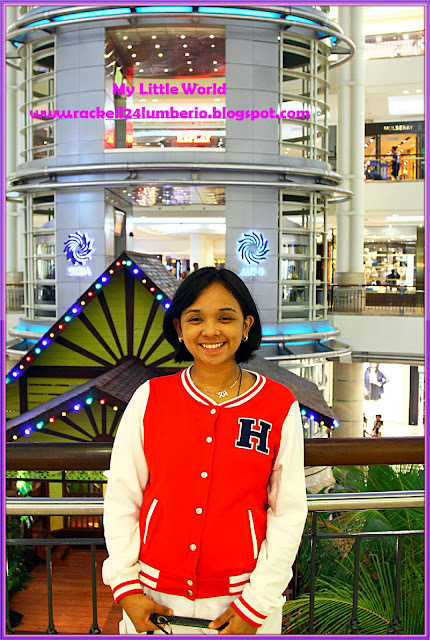 Retail Therapy @ Suria, KLCC – Guaranteed to lift your spirits and find something you like. Spa and Relaxation @ 4th Floor, Suria KLCC – This is a perfect place if you want to relieve stress from vacationing. KLCC Park – You can enjoy the 50-acres of beautifully landscape tropical gardens. Aquaria @KL Convention Centre –It is a state-of-the-art aquarium. It’s already 9pm and we chose to take our late dinner. 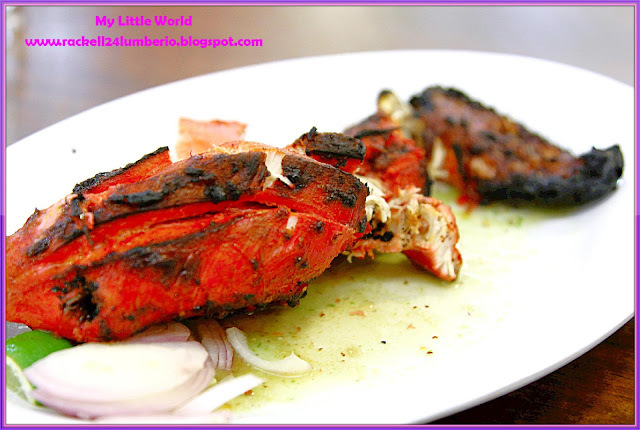 We stroll around the mall and find the best place to eat, until we reach the Signature food court. There are lots of food choices in the area, but I’m scared to try it since my stomach is not in the mood. Mahirap ng sa ibang bansa pa sumpungin ng sakit ng tyan.. Haha. So it’s better to be safe than sorry. Right?! 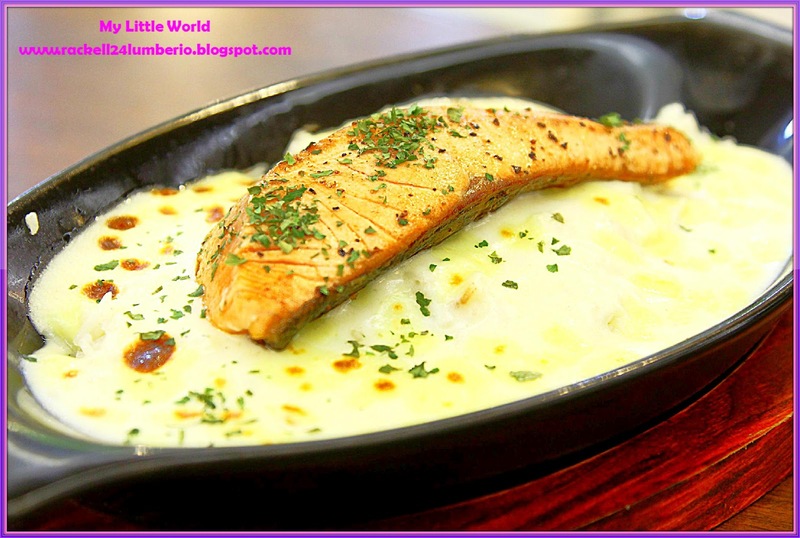 Ian chose P10 – Salmon with Creamy Sauce while I picked P5 – Fish Fillet in Tomato Sauce. 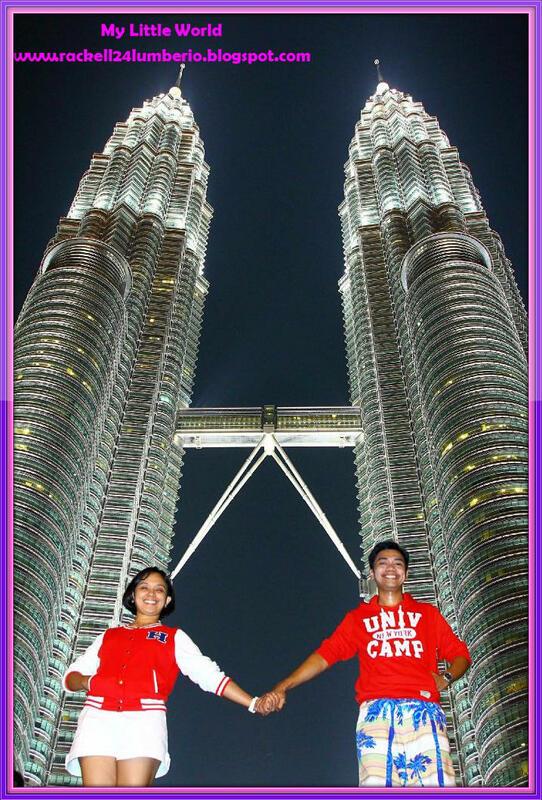 Right after our dinner, we decided to visit the famous Petronas Tower outside the Suria Mall. Finding a perfect place to capture the towers full built was challenging. We had to walk around and check on the angle until we reach the finest spot! Woooowwww!!! As usual, there are many tourists around the area so be careful when you take pictures. Baka makita mo sa picture mo, may kasama ka ng iba.. Haha. We waited patiently, until little by little the people leave the area. Yahoo!!! It’s our turn! 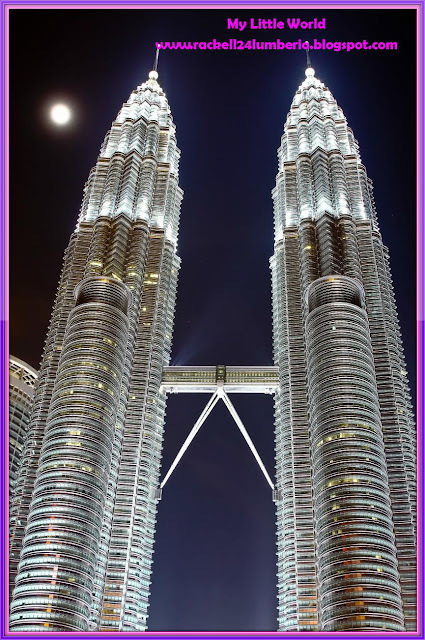 To give an idea, the Petronas Twin Towers symbolizes their culture and advancement on the world stage. The interior motifs are a reflection of local handicrafts and weaving patterns, while stainless steel and glass combine beautifully as Islamic patterns. The view of the Petronas Tower is superb! As in amazing! It’s sooo nice to look at during night because of the lightning of the building which made it more beautiful and stunning. Anyway, Petronas Twin Towers is considered to be the tallest building in the world when it was completed in 1998 and lasted until Taipei 101 was completed in 2004 which surpassed it. 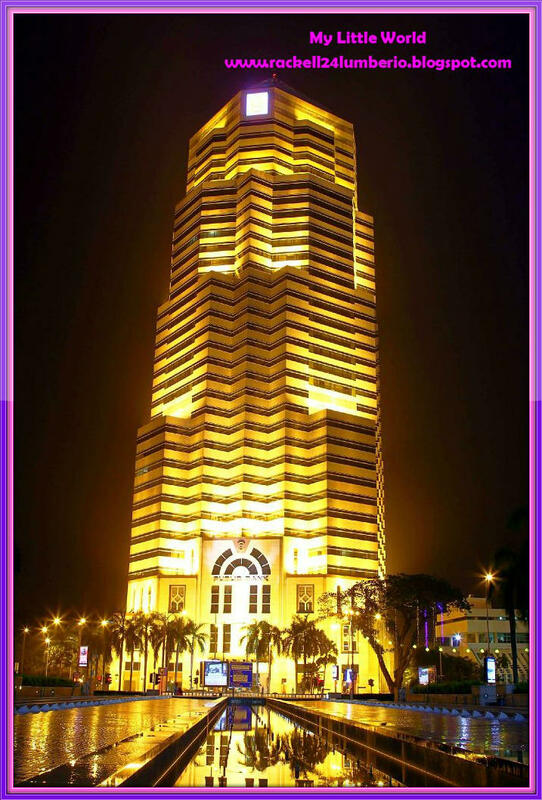 It is approximately 452m above street level and has 88 floors. The two towers are joined by the Skybridge in the 41st and 42nd floor. We wanted to go inside the tower and take lots of pictures but it was already closed! Waahhh! Hello almost 10:30pm na kaya! Huhu.. So we just looked at it and save it night image in our memories. 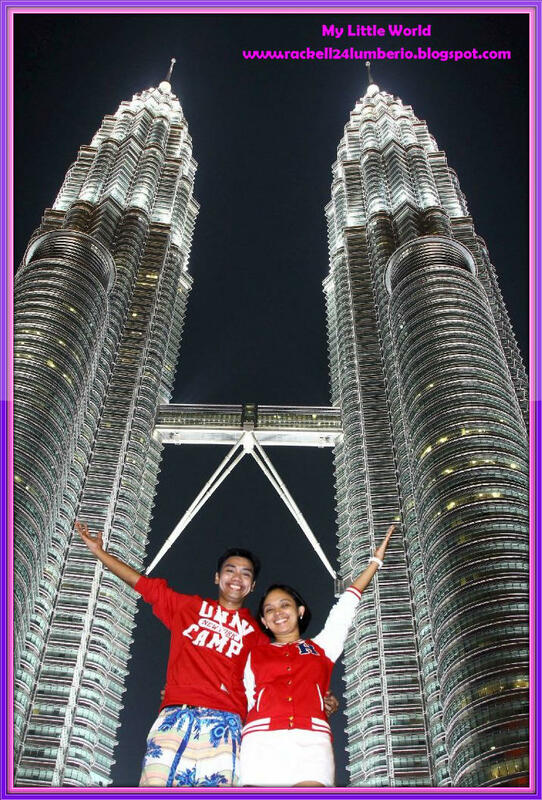 We ended up sitting facing the front view of twin towers, chat, photo sessions and relax. 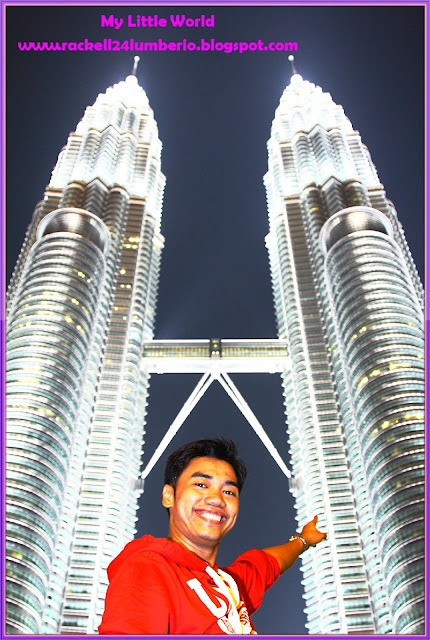 Of course, our trip in KL won’t obviously be complete without having a picture taken with the phenomenal and jaw-dropping Petronas Twin Towers. Mia: "Minsan nga naiimagine ko magkausap yung dalawa kasi para silang magkaholding-hands." I miss this place. Gusto kong picture-ran ulit ang PTT. 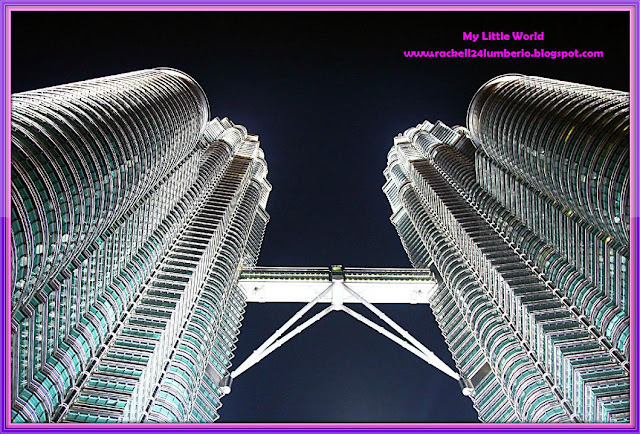 Check out my post about Petronas Twin Towers.